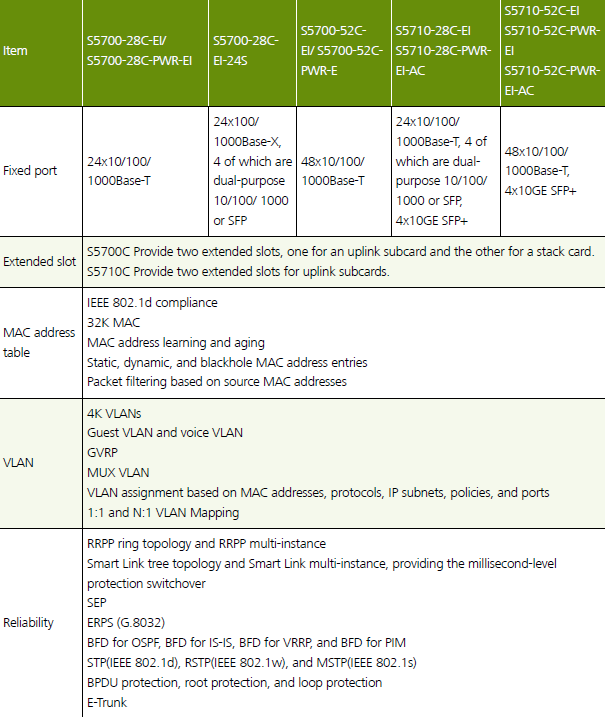 We compared the Cisco 3750-X/3560-X to Huawei S5700 Series before. 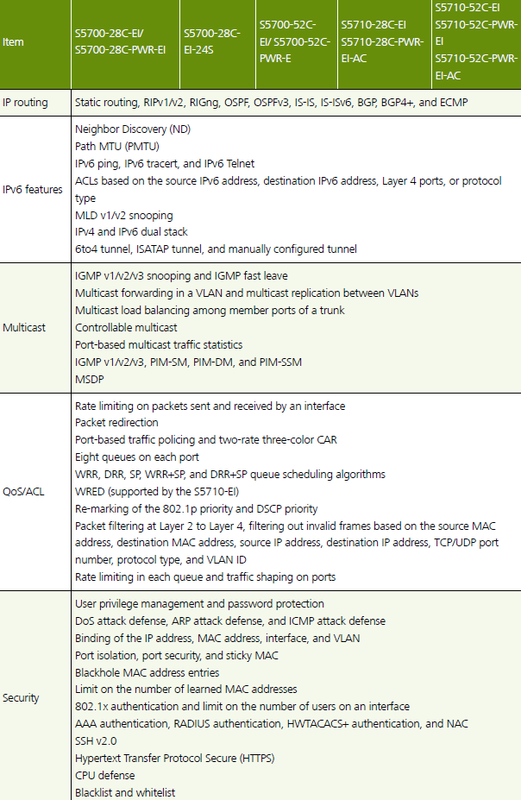 We shared “The Role of Huawei S5700 Series in a Network”. The Huawei S5700 series is similar to the Cisco Catalyst 3750-X model and 3560-X series. 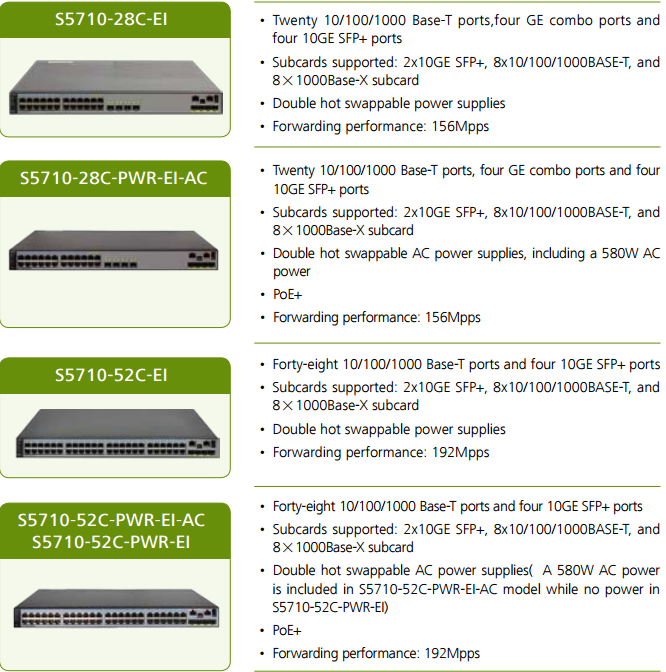 The Huawei S5700-EI Series is also a kind of Cool Gigabit Enterprise Switches. The next-generation energy-saving switches have been developed by Huawei to meet the demand for high-bandwidth access and Ethernet multi-service aggregation. Based on the cutting-edge hardware and Huawei Versatile Routing Platform (VRP) software, the S5700-EI (The S5700-EI series gigabit enterprise switches) provides a large switching capacity and high-density GE ports to implement 10 Gbit/s upstream transmissions. The S5700-EI is for use in various enterprise network scenarios. For example, it can function as an access or aggregation switch on a campus network, a gigabit access switch in an Internet data center (IDC), or a desktop switch to provide 1000 Mbit/s access for terminals. The S5700-EI is easy to install and maintain, reducing workloads for network planning, construction, and maintenance. The S5700-EI uses advanced reliability, security, and energy conservation technologies, helping enterprise customers build a next generation IT network. 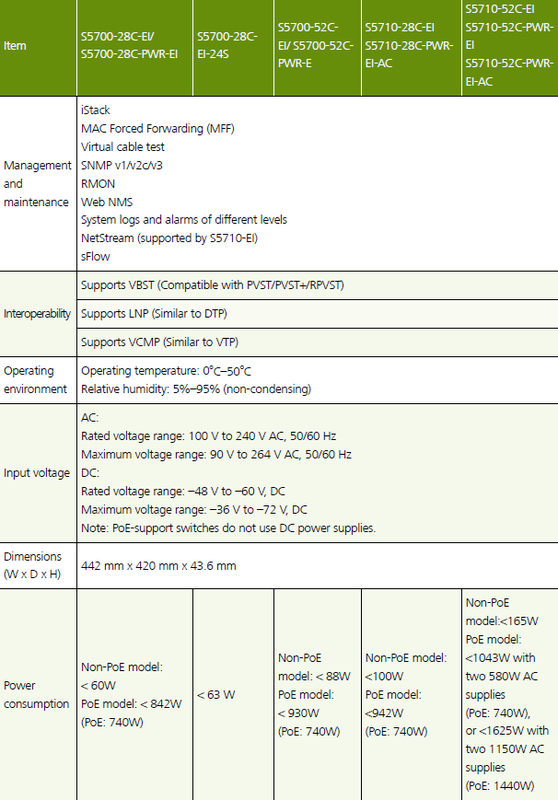 Note: S5700-EI mentioned in this article refers to the whole S5700-EI series including S5710-EI, and descriptions about S5710-EI are unique features of S5710-EI. And now in the following part, we will introduce you the main Huawei S5700-EI models. Now let’s read the specifications of Huawei S5700-EI to know the main features and Highlights. *: The S5700 switches of the EI series are collectively called S5700-EI. S5710-EI is a sub-series switches of S5700-EI. 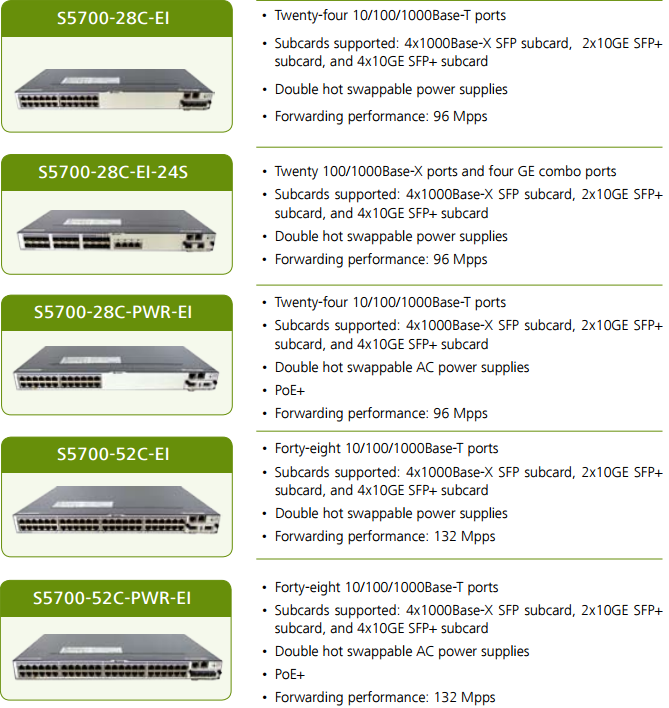 And if you look for a better network switch, you can consider the Huawei S5700-EI series gigabit enterprise switches.